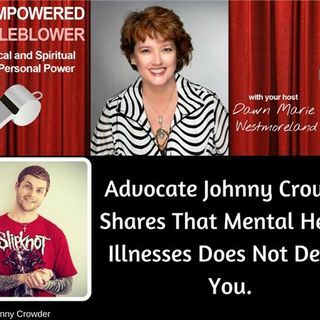 No one should be judged or discriminated if they have a mental health issue according to Johnny Crowder. He has dealt with serious mental health issues and Johnny describes his journey in this podcast. When people are bullied and/or discriminated, some people experience mental health issues. It's ok- and you can get professional help to support your well-being. You should check out his new invention below to help encourage people and let them know they are valued.